Monarchies are such absurd institutions that it feels unnecessary to even mount a case against them. Should there be a small ruling family that passes down their power through the bloodline, irrespective of merit or competence, whom the nation venerates for no reason other than the fact of their existence? Should this family inherit large mountains of wealth including multiple castles, and should ordinary, non-castle-owning people be fascinated by the day-to-day drama of the royals’ lives? Personally, I think a society that even asked this question would have some very strange values. I do not see either the purpose or justification for monarchies. They conflict with my fundamental egalitarian instincts. I was never captivated by stories of kings and sultans and princesses as a child. Today, I am actively repulsed by them. Being wealthy when other people are poor is grossly immoral, and those who live in palaces are actively declining to alleviate the suffering of humans and other animals. There is no good political theory that justifies monarchy. Everyone is born equal, why should some people—purely by genetic accident—have vastly more wealth and power than others? Today’s constitutional monarchs may have relatively little power and be mostly symbolic, but I find even the symbol to be unhealthy. Who are these people, and why should they be considered important? Yet while I think the case against monarchy is so clear as to be almost beyond dispute, my position is not at all universal. In Britain, my country of birth, the Royal Family is extremely popular. Only 9 percent of Britons think the institution of the monarchy is bad for the country, and over 2/3 think it is good. Even the majority of Labour voters approve of the monarchy, and most people think it will still be around in 100 years. There simply isn’t much “republican” sentiment. When I think of the Royal Family, I get viscerally angry: I do not want the public face of my country to be a group of insular aristocrats. I want Britain to be represented by its teachers, social workers, store clerks, postal workers, bus drivers, nurses, and gardeners. I do not like the British class system, and the royal family are the clearest available symbols of how ugly and persistent that class system is. And yet I have to face the facts: Most other British people simply do not agree with me. I think the reason for that is in part very obvious: The present royal family simply don’t do much to earn anybody’s ire. In the public’s perception, they are inoffensive, and because they are inoffensive by choice, they are admirable. The Queen is polite to all, dutifully does photo ops, is a picture of dignity and restraint. Royal involvement in politics is limited and benign—Prince Charles, for instance, champions environmentalism and traditional architecture, both causes I even sympathize with myself. Prince Philip has a long history of nasty bigoted remarks but is kept quiet these days. There are occasional grumblings when the Queen does something that tactlessly emphasizes the size of the gap between rich and poor—there was a recent minor flap when she gave a speech about the state of the country while sitting in front of an opulent golden piano, though I’m always appreciative when rich people honestly portray their lifestyles rather than pretending to be working-class. (The “Trumpier” the rich look, the easier it is to explain to people why they ought to despise wealth and privilege.) Generally, though, since the royals spend their time participating in sober public rituals, few British people feel any sincere urge to overthrow them. I bet this is partly because elected democratic leaders are so dysfunctional at present that the royals look much more likable by comparison. If you had to be governed by Theresa May or the Queen, I think everyone would choose the Queen. It is not the Queen who has been dismantling the welfare state and making working life more precarious. British people can look at the United States, too, and see what our beloved democratic republic has produced. We spared ourselves Mad King George, yes, only to voluntarily install Mad King Donald. Aren’t benevolent monarchs far better than the decidedly non-benevolent presidents Americans have given themselves? In fact, many Americans seem like some part of them wants a monarchy, and they have a weird obsession with the British royals. (My friend Paul recalls that when Princess Diana died, his middle-school teacher in California made the whole class go around and say what Diana had meant to them. If I remember correctly, he horrified his teacher by saying that Diana had meant nothing to him because he wasn’t British.) Barack Obama was beloved not because he was good at creating effective and helpful policies, but because he was an extremely likable man with a beautiful family whose presence in the White House was comforting. I think if Barack Obama served the same function as the Queen—going to state dinners, cutting ribbons, etc.—I’d happily have him as a lifetime monarch. Let him smile at the children and have them pat his hair. Just do not put him in charge of building an online health insurance portal. I once spoke to a Canadian who was very strong in his defense of the British royal family. At first, I couldn’t understand it—he wasn’t British, why did he want his country to be claimed by some rich lady from thousands of miles away who rarely visits? But he said that Canadians struggle to formulate a unique national identity, and the royals are important unifying figures for Canada. Canada is always trying to avoid being seen as the lesser cousin of the United States, and the Queen helps it stand out. I didn’t buy this when my friend first said it, and I don’t buy it now. This is because I am very skeptical of nationalism generally. I don’t really care about having a unique national identity—I am a human first, everything else a very distant second. Nations seem extremely silly to me, because I tend to think of the earth as it looks from space and see our divisions as rather arbitrary. The idea of a “country” strikes me as arbitrary, and the idea of national unity figures makes almost no sense whatsoever to me. 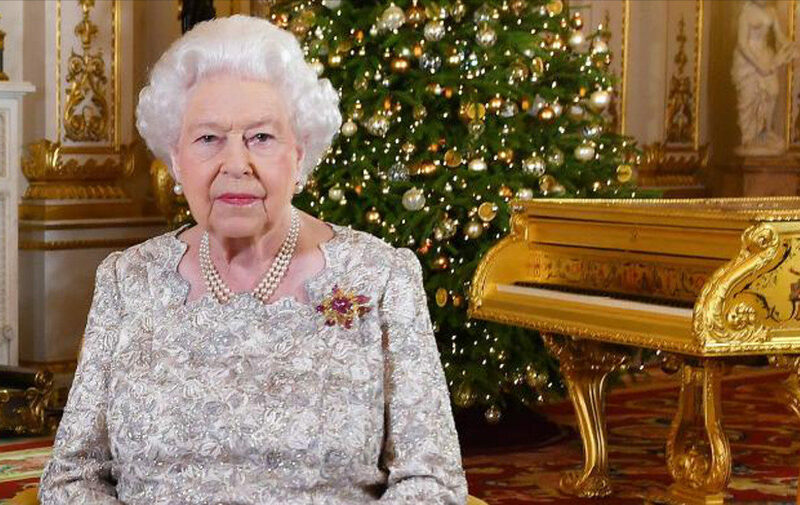 What does it add to being Canadian to have an old lady in a faraway castle nominally acting as your ruler? Why would you want that? What does it mean? I suppose these are just differing instincts, and this may be like hearing music: Other people can feel things that I am simply incapable of feeling, and perhaps it’s not even worth arguing the point. If monarchies make you feel good, it will be difficult to have an intellectual argument about why they “shouldn’t,” just as if you get warm fuzzy feelings from seeing a photo of a fireplace, I can’t tell you not to. But personally I am always going to be disturbed by monarchs, even powerless symbolic ones that serve as “unity” figures. I think they care very little about other people, as evidenced by their opulent surroundings, and yet everyone pretends that these people love us. There’s a lie involved, where people convince themselves that they have a stake in an institution that actually couldn’t care less whether they lived or died. I find extreme wealth disparities grotesque, inheritance irrational, and I think people should identify with the actual community of the neighborhood (i.e., the one where you personally know and talk to the people) rather than the imagined community of the nation. I understand why people are reluctant to get rid of institutions that seem harmless, and I’m not going to make the case that abolishing monarchies is an especially high-ranking human goal in countries where we have largely contained their power. But I think it’s a bad symbol, and it should wither away as we build better and healthier institutions. Love for the monarchy is a sign that our democracies are not fulfilling us in the ways they should, and we should want governments so good and nurturing that they make the idea of kings and queens look as silly as it actually is.